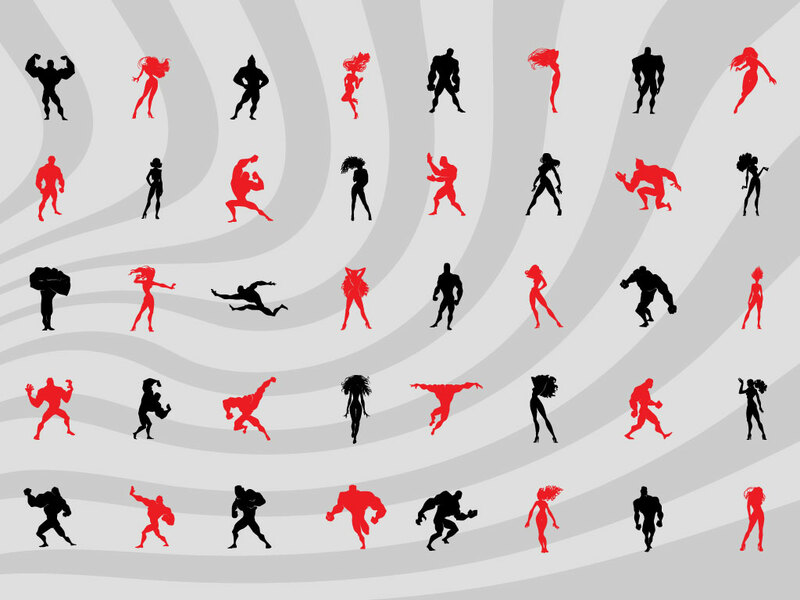 Forty male and female super hero silhouettes in this vector pack. A great variety of poses for you to give your designs a comic book edge. Download as AI and PDF for your silhouette collection. Tags: Cartoon, Character, Comic, Icons, Silhouettes, Super Hero.